Nestled between the Adriatic Sea and the Alps, this stunning Croatian resort town is known for its natural beauty and tranquility as well as its rich history and cultural heritage. Dubrovnik , known as the pearl of the Adriatic, has been a UNESCO World Heritage site since 1979. The Dubrovnik Cathedral dates back to the 7th century, while the Old Town walls—one of the most visited tourist sites in the city—were built in the 13th century. Dubrovnik Airport is the third biggest airport in Croatia, after Zagreb and Split. No airline flies there directly from the U.S., but getting a connecting flight isn’t too difficult, especially since the nation’s flag carrier, Croatia Airlines, is a member of the Star Alliance. Something to keep in mind while planning your trip is that almost all flights are seasonal as Dubrovnik is a summer resort. 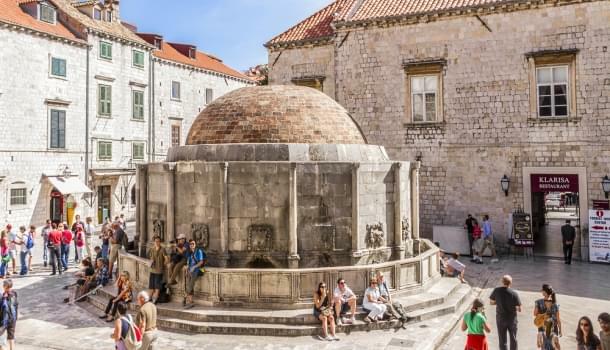 United Airlines has excellent coach availability to Dubrovnik. Most award itineraries will involve some combination of Lufthansa, Austrian Airlines, Air Canada and Croatia Airlines. 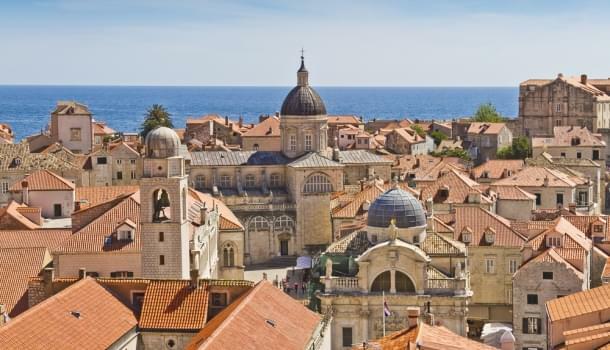 There are fewer oneworld alliance airlines that serve Dubrovnik, but you can still get there using AAdvantage miles. Just remember to avoid using British Airways for your transatlantic flight as they have very high fuel surcharges. British Airways is a good option for flights within Europe though as they only charge a modest fee. For example, you can fly American to London, and take British Airways from there to Dubrovnik and avoid high surcharges. You’ll have to call for flights on Iberia since you can’t book them through American’s website. Booking a flight to Dubrovnik on Delta Airlines is more difficult. Delta doesn’t fly there, and only one SkyTeam partner does: Alitalia. Delta doesn’t even recognize Dubrovnik Airport as a valid destination on their website, so you’ll have to call to book. Whichever airline you choose, you can’t go wrong with Dubrovnik. It has all the staples of a great vacation: rich history, friendly locals, stunning vistas and great food. Use United for simplicity, American for savings in premium classes or Delta if you don’t mind calling to book.